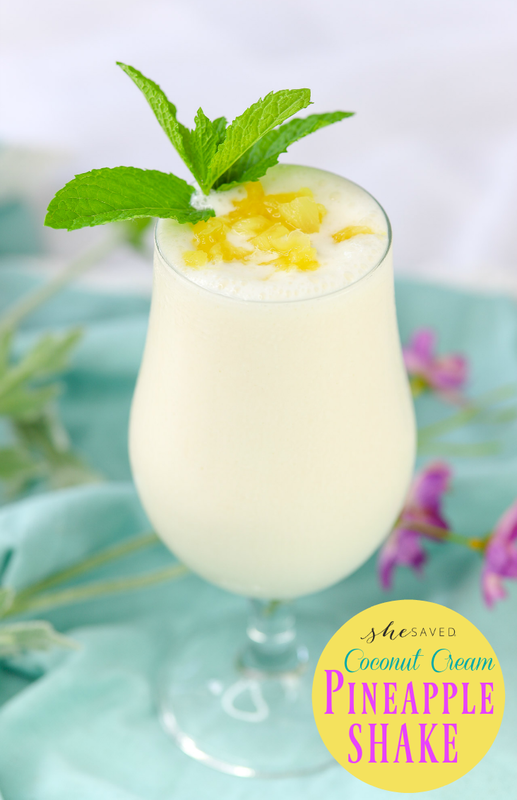 This wonderful coconut cream pineapple shake recipe is SO good and makes for a wonderful summer treat! It’s just perfect to serve as a yummy non-alcoholic mocktail to be enjoyed whenever and wherever. Girls night in, you got it! Backyard barbecue, no problem! And it is so easy to make; it will leave you wondering, why did you take so long to make it? Want to liven up the party? 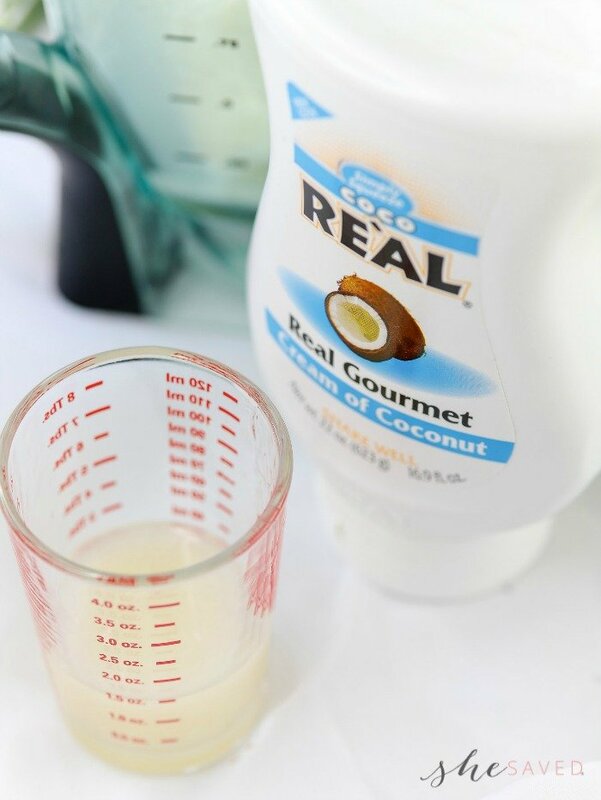 This easy and deliciously refreshing mocktail can easily be crafted as an equally delicious cocktail with the addition of two ounces of flavored coconut rum. Cheers! 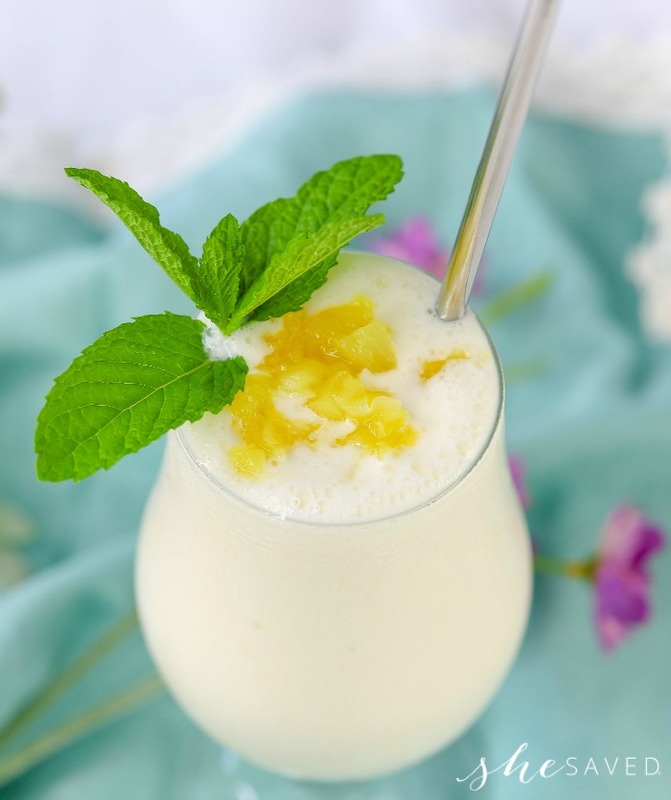 I really like this coconut cream pineapple shake recipe because you can easily whip up a couple of these or you can make several for a larger crowd. They look so festive and can really add a fun touch to your summer party. 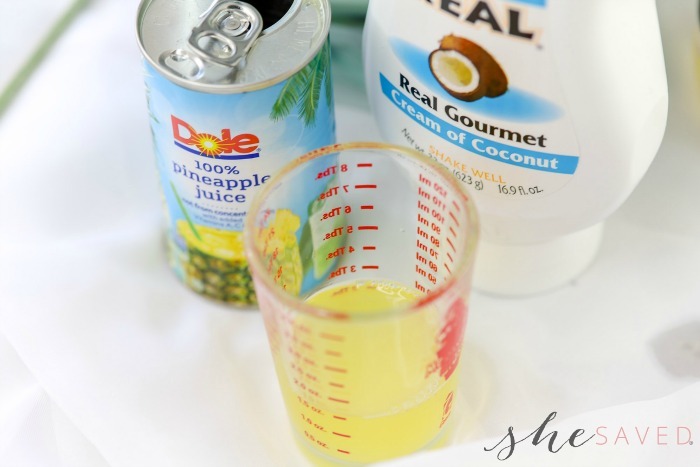 You can even add a cute little umbrella to make this the perfect drink for your tropical party! 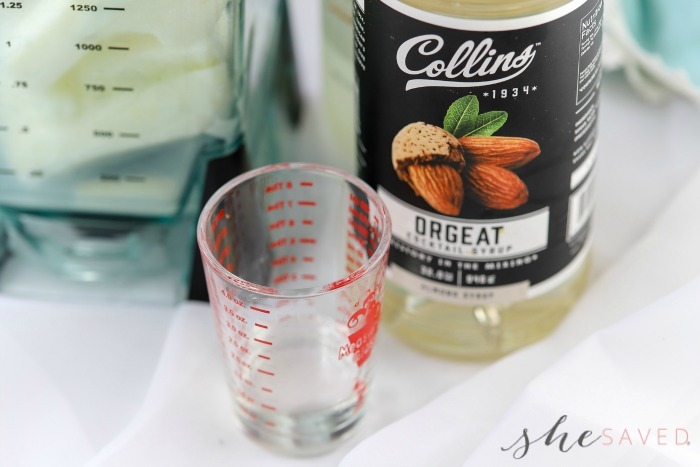 We love drink recipes around here so make sure to check out my other summer beverage recipes! 2 Coconut Popsicles (if you can’t find coconut flavored popsicles, any light flavor will do: lemon or even banana) If you don’t have popsicles, ice will do. 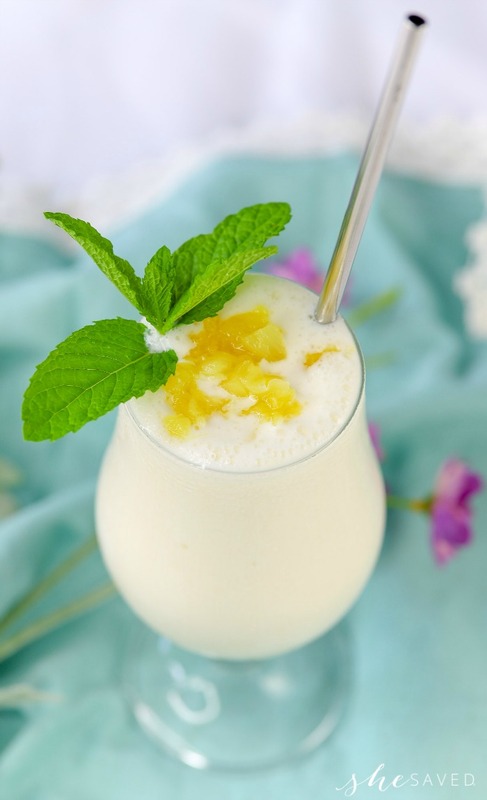 Into a blender add pineapple juice, Orgeat, cream of coconut, popsicles, and vanilla ice cream. Spoon into a serving glass and top with crushed pineapple. 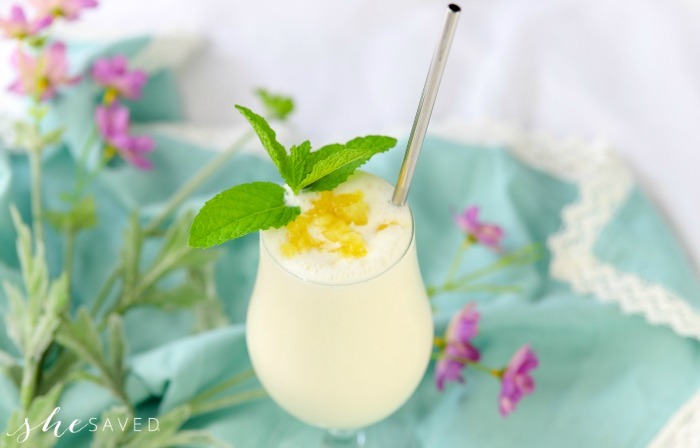 Into a blender add pineapple juice, Orgeat, cream of coconut, coconut popsicles, and vanilla ice cream. « RARE!! Food Network Magazine $7.95 per YEAR! I like this particular combination--pineapple plus coconut. I think this shake must taste delicious yet energetic.